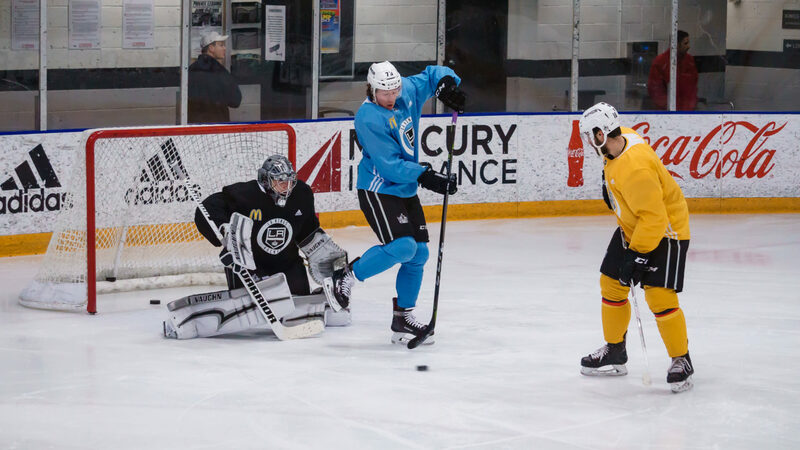 The Kings held a full practice Friday and it seemed like the coaching staff decided to experiment with the team’s lines. There was a surplus at forwards, so they decided to create two groups of four. Coach John Stevens noted to not read too much into the fact that Jeff Carter was with Tanner Pearson and Tyler Toffoli, his regular linemates when healthy. Stevens said he put the group together so Carter could get extra reps because Friday was his second practice since he suffered a deep cut that required surgery to repair a tendon in his ankle in October. Stevens said he hadn’t talked to Carter yet about how he felt, but at the moment of media availability Stevens listed Carter as “doubtful” for Saturday’s game against the Edmonton Oilers. 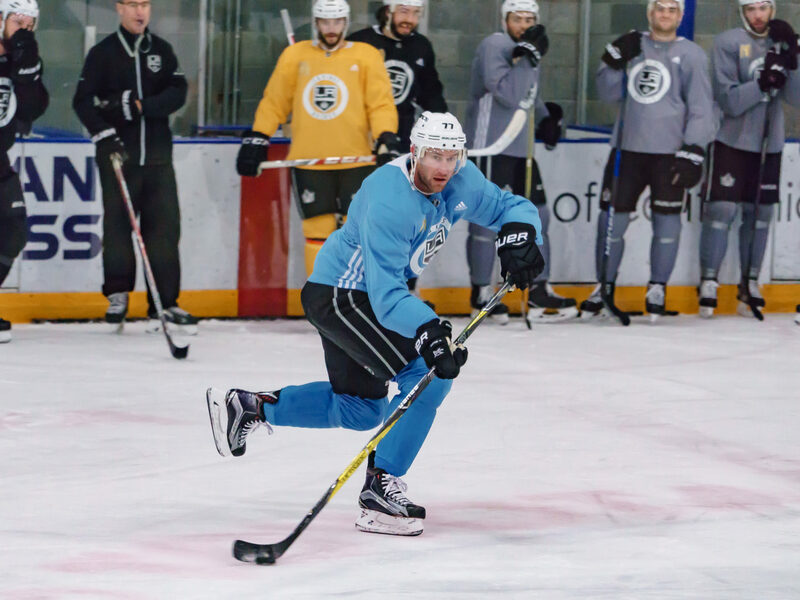 Stevens also said he put newly acquired forward Tobias Rieder on the Anze Kopitar’s line to see how Rieder’s speed looked with Kopitar and Dustin Brown. In regards to Carter Kings players were impressed with how the big center looked despite being out of action for so long. -Brown, Kopitar and Rieder showed some solidarity Friday by adding red and black tape over their shin guards. The three were wearing gold jerseys and socks, so the tape gave the impression of mini German flags. This had to do with Germany’s win over Canada in the semifinal of the Olympic Men’s Hockey tournament. Rieder is from Landshut, Germany. Rieder said he has tried to keep tabs on the German team throughout the tournament and has been pumped by the group’s success. “I’m talking to Marco Sturm, the coach, talking to him after every game. Kind of sad you can’t be a part of that but I’m really happy for them and hoping they keep going all the way,” he said. The Canadians on the Kings also got a good laugh at the nationalistic fashion statement. Rieder is the Kings’ third German player in franchise history. The other two are Sturm and defenseman Christian Ehrhoff. Ehrhoff is also associated with the German Olympic team, as a player. – Tomorrow against the Oilers, the Kings will honor defenseman Mark Hardy as part of their Legends Night Series celebration, presented by McDonald’s. The event will happen before the game. Hardy played 616 games with the Kings in two separate stints with the organization and notched 303 points. Kings Team Ambassador and Hall of Fame broadcaster Bob Miller will be the M.C. Read more about Hardy and his Legends Night here. – Kings organist Dieter Ruehle did a Reddit AMA and answered several fan questions.